Earlier today it was announced that five-time winner Cristiano Ronaldo will be in the running for a third successive award after scoring 44 goals in 44 games in all competitions in his final season at Real Madrid. Now France Football have revealed that the likes of Hazard and Griezmann will be rivalling the Juventus forward for football’s biggest individual honour. 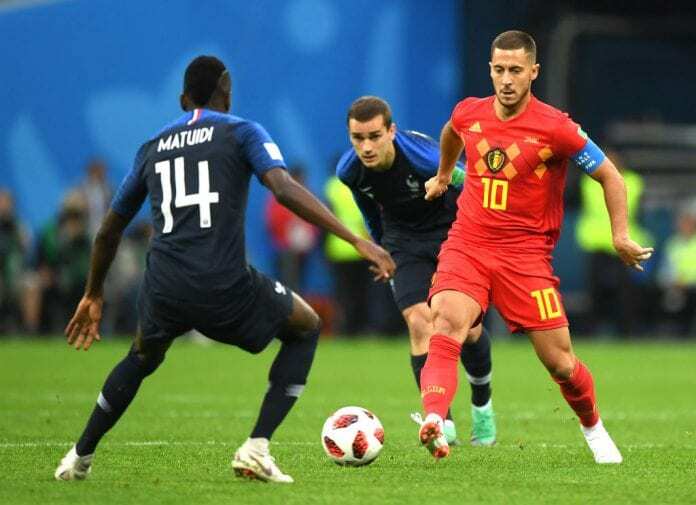 Hazard impressed at the World Cup for Belgium and has had a superb start to the new season at Chelsea with seven goals and three assists in eight Premier League appearances. Meanwhile, World Cup winner Griezmann is determined to win the Ballon d’Or and recently revealed that he sees himself on the same level as five-time winners Ronaldo and Lionel Messi. Also nominated is Tottenham striker Harry Kane along with Chelsea and Real Madrid midfielders N’Golo Kante and Isco respectively.